Asking questions has such a powerful leverage in organizations and yet, the ability to synthesize available data and transform this information into critical questions or the ability to listen are not considered critical capabilities. We think we know so we assume we do not need to learn how to listen and how to ask questions. Those are two of the greatest delusions we live by. But the complexity of today’s world requires more listening to uncover new perspectives, and an inquiring heart to ask the right questions. 2. Solving problems is more effective than asking questions. In fact I know we are terrible listeners, we are focused on our personal impressions, interpretations, perspective, and opinions of who and what we are listening to. We are often unable to empty “the cup” of our being to refill it with the speakers. Our questions focus on the techniques, the steps, or formulas that will deliver results and do not account for intent, bigger picture or the meaning of it all. And yet we used to be great at doing both. Think about the quality of your listening. You still remember that great conversation you had with your friend or a child’s complete focus on your every word as you tell him a story, and think about the questions children ask: What does it mean to be free? Why are people poor? How expensive is a tree? We have the capacity to ask deep and insightful questions. We have the capacity for deep, emphatic listening. It is available to us right now, not tomorrow, not after practice time, not after attending class. We haven’t forgotten, we simply do not use it anymore. And we need to be reminded of that interpersonal skill. We can regain our ability to really talk and to really listen if we want to. It is all about our willingness to notice it. The inner work of leadership is only possible when we decide to do this. 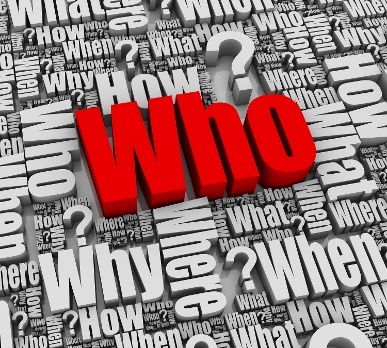 It is all about answering the question: who am I? For this reason the answer to how (to do something) is actually who. Who am I and who will I decide to be? How will I be myself and how will I show up to meet the challenge of the workplace? Will I have the courage to be myself in a world that tries constantly to make me someone else?